Administrators within Fulcrum can assign records to users within their account. When a record is assigned to a user, only that user and administrators with access to the app will be able to download and modify the record on their mobile device. This can be useful for dividing work between users, monitoring who’s doing what, and to ensure that confidential data is only seen by permitted users. For this tutorial, I will show you how to assign records within an existing dataset outside of Fulcrum, and then import those data points to create a new app. Keep in mind that you can also use this method to update existing Fulcrum datasets, simply by exporting your data from Fulcrum, editing it, and then re-importing it into that existing app using the importer. 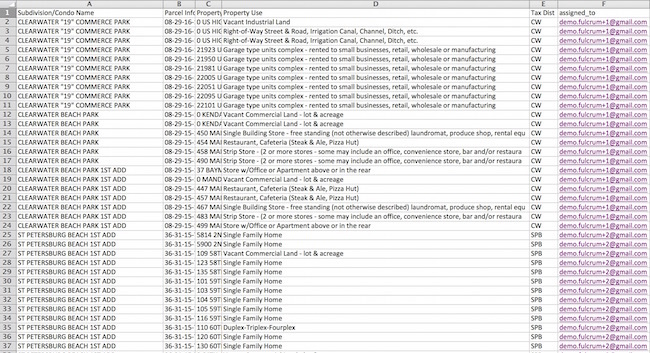 Once you have obtained or cleaned up an existing dataset, add a new column called assigned_to. Enter the email of the user to whom you would like to assign each record. 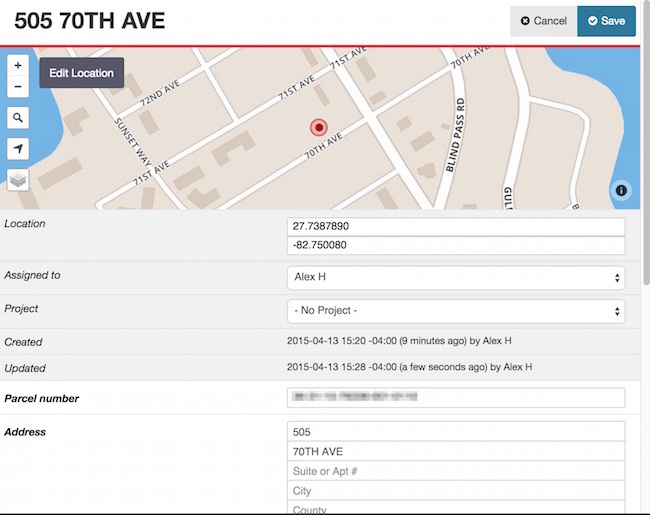 In this example, I am assigning records to users based on the city where properties are located. User 1 will be responsible for properties in Clearwater, while User 2 will be responsible for properties in St. Petersburg. I did this by first filtering ‘Clearwater’, entering the email of User 1 into the top record, and then using the “fill” feature to fill the rows below. I repeated the same steps for St. Petersburg and User 2. After you are finished, be sure to save as a CSV file. 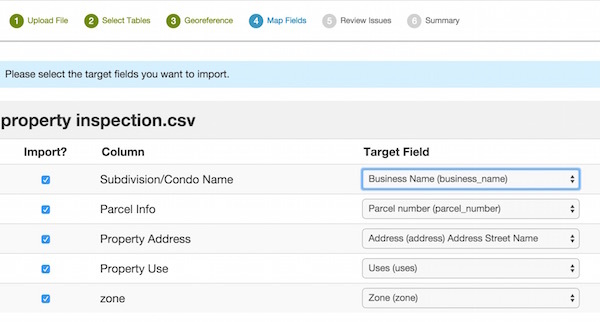 Follow the steps of the import wizard to import the data into an existing app. Notice that the assigned_to field does not show up throughout the import process. Fulcrum will automatically recognize this column as a system field and assign the record to the member sharing the email address. After the import has been completed, enter the record view and select a record. After clicking ‘edit’, you will notice that the record has been assigned to a user. You can always change the record assignment from here. You can assign users to new records from here as well.